Those who follow me on social media may know I had my 15 minutes of fame this week courtesy of the local paper, “The Huddersfield Daily Examiner”. They approached me to see if they could use my story about Annie Leonard, a Barnbow munitions worker of the Great War who died as a result of work-related poisoning in July 1916. Their article is here. Work backwards using birth, marriage and death certificates. The National Archives is a good starting point and includes research guides. In hindsight I’d expand on this one, saying check out some general family history “how to” books to familiarise yourself with the basics. Parish registers are invaluable for records before July 1837 civil registration. If you have an unusual name it will probably be easier to research than a common one – however, whatever the surname, be aware of surname spelling variations. Migration from our country or part of the country to another is a complication. Persistence is key. Think outside the box. Look at wider family and other sources including newspapers, local history and transport links. Join a Family History Society (FHS). I’m in a few based around the locations of my ancestors. The advice and tips from this army of experts can be invaluable both for those starting out as well as those more advanced in their journey. FHS members have a wealth of local knowledge. And the regular meetings, research facilities and drop-in sessions, besides being informative, provide a social aspect to what can often be a solitary pursuit. Get involved. Be methodical and organised right from the start. Note searches, including negative ones. Record source references. Include dates and search parameters. Record your findings as soon as possible. Yes it might sound a boring chore. But it can save time in the long run. You reduce the risk of doing unnecessary repeat searches; or you can see where it might be worth doing follow-up searches, for example where providers have expanded or added new data sets. If you plan subscribing to genealogy sites, research which are the best ones for you. There is lots of genealogy subscription comparison advice on the Internet. Consider a short-term subscription to test the waters and see if a year long one is going to be worth your while. See if your local library offers free access to Ancestry or FindMyPast. GenealogyInTime Magazine has a list of the top 100 sites. Talk to older relatives and record what they can remember. This is one of my huge regrets. Don’t rely transcriptions. Shock, horror – they may contain errors! Whenever possible check sources out yourself. There are so many more tips. But I’ve limited myself to 10. Feel free to add any others! Sometimes we overlook more recent family history, concentrating on the more distant past. Currently events of 100 years ago are dominating the news, with national commemoration events for Battles such as Jutland and The Somme, to more individual and personal remembrances for the centenary of the death of a family member. But here I will focus on a more recent conflict, World War II. We are moving towards a time when this too will disappear from living memory. Sadly those in my family with direct knowledge of this tale are long gone. This post concerns the fate of Albert Edward Hill, or Ned as he was known: My grandad’s cousin. Finding out the circumstances surrounding death in conflict can be challenging: Which battle; location; precise cause of death; time; even date; and perhaps there is no known burial place. World War II in many ways presents a bigger challenge than its predecessor, with the public availability of records. However in Ned’s case it’s all fairly straightforward. He is buried locally at St Paul’s churchyard, Hanging Heaton. His death is well documented. It was not caused by some battle injury. It was the result of a totally avoidably, foolishly tragic accident following a night out. Ned was born on 2 February 1901, one of the seven children of Albert Hill and Sarah Ann Summerscales. These included Harry who died shortly after birth in 1890; Percy, Annie, Lilian, Doris and Arthur. Ned never married. The 1939 Register, the population list compiled at on 29 September, as a result of the outbreak of war, shows him living at Wood Lane, Hanging Heaton. He is in the household of his brother-in-law Harry Robertshaw along with Harry’s two young sons. Harry’s wife, Ned’s sister Annie died that summer, her burial taking place at St Paul’s Hanging Heaton on 6 July 1939. In the 1939 Register Ned is recorded as working as a willeyer in a woollen mill. This was someone who operated what was termed a willeying machine. Fibres were fed into this machine, which separated and combed them ready for carding. Newspaper reports at the time of his death, however, indicate prior to his army service he worked as a builder’s labourer, employed by Hanging Heaton-based building contactors George Kilburn and sons. I do suspect some confusion in the report though, and this occupation possibly applied to his brother Arthur. In the 1939 Register he was a public works contractor’s labourer. Whatever the true facts are war changed all this, and some two-and-a-half years before his death Ned joined the Army, as a Gunner. His death came entirely out of the blue. Summer 1945, and war in Europe over, Ned returned home to Batley on leave. He finally managed to meet up with his younger brother Arthur, a driver with the RASC, similarly on leave. This was the first time they had seen each other since Ned’s military service. Arthur had been in the Army for four years at this point, serving in Germany, Belgium, France and Holland. Things must have seemed hopeful. They had survived so far. All being well they would be home soon permanently. 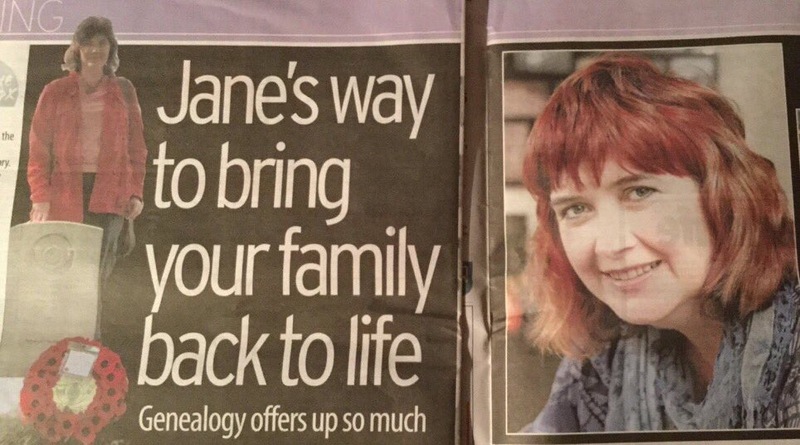 The past tragedy of the family would not repeat itself…. Little could they have envisaged that this meeting would be their last, and in three weeks Ned would be dead. Leave over and Ned returned back to his Unit, the 397 Battery, 122 Heavy Anti-Aircraft Artillery Regiment, stationed at Walberswick, near Southwold in Suffolk. This was part of the network of coastal defences, established in response to the threat of German invasion from May 1940 after their rapid victory in Western Europe. That German threat was now gone. On 20 July 1945 he and another soldier from the same unit, Gunner Leonard Lomax, had evening leave. They left camp at 6pm that Friday for a night out in Southwold. The ferryman took them over the River Blyth and said he would return for them at 10-30-11.00pm. An interesting aside is the ferry service from Walberswick had featured in Parliament only weeks earlier on 8 June 1945. There had been a seam steam-driven chain ferry which was discontinued in World War II, and it seems a rowing boat service replaced it. The ferry was privately owned and there had been problems in maintaining a regular service. Suffolk County Council was negotiating to acquire the ferry rights to ensure an adequate service. Ned and Leonard visited three public houses in Southwold and consumed about six pints of mixed beer. They left town at 10.15pm for the return ferry but there was no sign of the man with the boat. 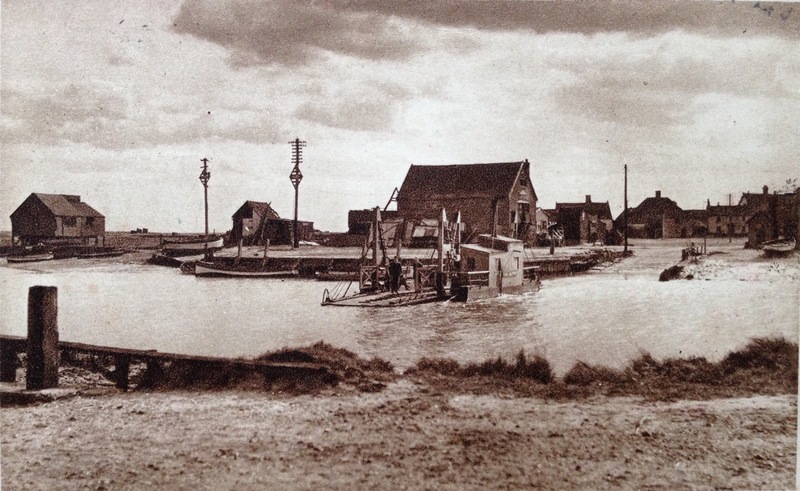 As they were debating whether to return to Southwold to catch the liberty truck to camp, a boat containing two soldiers came from the Walberswick side of the river. These two soldiers, Lance Bombardier Edward Davis and Bombardier George Rennie were from another Battery. They heard shouts from the Southwold side of the river and thought some men from their Company were stranded as it appeared the ferry service had stopped. Despite having consumed three pints, or maybe because of it, seeing a boat moored in the water they decided to cross to collect their companions, but when they arrived found they were strangers. Nevertheless they offered Ned and Leonard a lift back. They clambered in the small boat, which turned out to be a yacht’s dingy and using the home-made paddles which were aboard the boat, Edward and George set about rowing back. About halfway across Leonard became aware of his feet feeling wet, water sloshing over the top of his shoes. George and Edward were now having difficulty controlling the craft and stood up to paddle. They were about eight yards from the Walberswick side when the boat got into trouble with the tide and started to drift back towards Southwold and then seawards. The boat was filling up with water, either the result of a leak or overloading. At this point Ned grabbed a paddle from Edward and the boat turned over throwing all four men into the river. Leonard and George managed to get hold of a step ladder running down the harbour wall and climb ashore. They could not see the other two men, so made their way to Southwold to inform the police. Meanwhile Edward, realising that Ned could not swim, tried to keep him up despite not being a strong swimmer himself. He managed to get them both to the concrete wall where Ned grabbed some weeds. Unfortunately they broke away. Edward continued to hold onto Ned but eventually became too exhausted and he had to let him go. Edward then managed to get hold of the ladder and escape. In summing up the Coroner censured the boat’s occupants. The accident, he said, was the result of four “landlubbers” knowing nothing whatever about boating. The two soldiers should never have taken Leonard and Ned aboard because they overloaded the boat. There must have been some movement with the result that the boat capsized. He went onto say that he hoped the tragedy would be a warning to others not to take boats without leave, and not to go on a swift running river like this one unless they were experienced persons who know how many a boat would take. “It is difficult to blame anyone because it is pure ignorance” he added. A verdict of “Death through drowning through the upsetting of a boat” was recorded. “On behalf of the ranks of this battery wish to express to you our horror at this tragedy. Gunner Hill was a grand soldier and a man well-known and loved by the men of this unit”. Ned’s body was brought back to Batley and he was buried in the church yard at St Paul’s, Hanging Heaton, just weeks before VJ Day and the war effectively ending. Arthur survived the war. But Ned’s fate echoed that of another brother in another conflict, Percy. He died almost 29 years earlier in The Great War, during the Battle of the Somme. Memories too of the newspaper “Roll of Honour In Memoriam” notices which the Hill family, including the then teenager Ned, placed in the papers all those decades before, mourning the loss of Percy. Hill – In sad but loving memory of our dear son and brother, 1736 Sergt Percy Hill, 1st-4th KOYLI (Batley Territorials) who died from wounds at Warloy Baillon, West of Albert, France, September 30th, 1916, aged 24 years. A family which had now lost a brother in both World Wars. I’m still struggling to absorb the many levels of the amazing remembrance ceremony which took place on 1 July 2016. Still lost for words. Still unable to believe I attended the Somme centenary commemorations at Thiepval. It left me with a complex mix of feelings. It was a unique, emotional, exhausting, exhilarating and, strangely given the context, enjoyable experience. But above all it was an absolute privilege to be one of around 10,000 people present, to pay my respects and remember: from the great and the good, to those ordinary British, Irish and French citizens who were allocated tickets in the public ballot. I applied for tickets in the public ballot last year, as did my husband, Chris. Neither of us were successful initially. However Chris received an e-mail in March informing him of a second chance of tickets if still interested. No question about it. He jumped at the opportunity. To say we were thrilled was an understatement. Although we have travelled several times to the area, this time rather than making independent arrangements we booked to go with Leger Holidays on their Somme Centenary Tour. That way we didn’t have the worry of sorting hotels and navigating the daunting exclusion zone which surrounded the area. We also had two full day’s organised tours of key areas of the Somme battlefield with a fabulously knowledgeable guide. It also meant rather than being individuals we were able to experience the occasion as part of a group. That was, in my opinion, the best way to assimilate and process the emotions of the day: sharing with others who were there. The commemoration was well organised, right from getting to and from the event, through to provision of food and drinks, even down to a goody bag with a poncho in case of rain. And goodness, was that needed at certain points during proceedings, especially given the umbrella ban. Torrential rain showers doesn’t adequately describe the day’s downpours. And despite the heavy rain showers over a prolonged period in the lead up to the event the site looked perfect. The head gardener told us that planting preparations had commenced three years earlier. All involved in organising such a complex and sensitive event in front and behind the scenes over many months deserve massive recognition and thanks: from planning, security, ticketing, staging, catering to those performing, showing guests to seats and tidying up afterwards. An incredible achievement. The readings and music perfectly encapsulated the themes of honouring and remembering all those involved in the Battle of the Somme from the 1 July start date to 18 November end, reflecting a wide range of nations and roles. It is difficult to pick any one highlight. If pushed for me it was the hauntingly beautiful Gaelic love song, “An Eala Bhàn”, (The White Swan). It was written during the Battle of the Somme by poet Donald MacDonald, serving with the 1st Battalion Cameron Highlanders, to his sweetheart Maggie Macleod. Listening to those bleak words sung in the crystal clear tones of Julie Fowlis against the backdrop of the Thiepval Memorial sent shivers down the spine. I came away from the commemoration with an immense sense of admiration and thankfulness for all those who served 100 years ago. But I was also left with a profound feeling of sadness at the immense loss of lives, youth, innocence; with individuals, families and communities changed forever. As I mentioned, because we travelled with Leger Holidays we visited a number of other key Somme sites and points of interest during our stay. These included Lochnagar Crater, the result of the detonation of the Lochnagar Mine at 7.28am on 1 July 1916, two minutes before Zero Hour and the launch of the Somme offensive; Delville Wood and the South African Memorial; Devonshire Trench and the scene of the 9th Devons advance straight into ferocious, concentrated enfilading German machine gun fire on 1 July, leaving 160 dead; Sheffield Memorial Park, commemorating the Pals Battalions of the British Army’s 31st Division; Newfoundland Park Memorial at Beaumont Hamel, with its largely untouched ground revealing the scars of shell craters and trenches, as well as its cemeteries, preserved trenches and memorials. This includes the Caribou, one of five on the Western Front, commemorating the Newfoundland Regiment; the town of Albert with its iconic Golden Virgin statue; and Pozières with its Australian connections. I experienced a couple of take-your-breath away moments. The first occurred at Sunken Lane, the scene of the famous Geoffrey Malins’ film of the 1st Lancashire Fusiliers shortly before they went over the top on 1 July 1916. As we arrived a group of soldiers in Great War uniforms walked towards us, an eerie reminder of events 100 years ago. The second was at Ulster Tower. In the midst of another torrential downpour I heard pipe music and saw the top of flags coming towards me from the direction of Connaught Cemetery. The sun came out as the men marched in for a wreath-laying ceremony. As the pipes played “When Johnny comes marching home again” I admit I had a lump in my throat. I’ll end with some stats. 1 July 1916, the first day of the Battle of the Somme, left over 19,000 British dead. That was but one day in the 141 days of the Somme Offensive, which finally ended on 18 November 1916. By its end, out of the over 3.5million men who took part across all sides, there were well over one million casualties, dead, missing and wounded. It can however be easy to overlook the fact that the war dragged on for a further 723 days. And it lasted 1,568 days in total, from the first shots on 28 July 1914 to the 11 November 1918 Armistice.